When Maizy first arrived at the Fairfax County Animal Shelter, she was suffering from severe glaucoma. Unfortunately her condition had been neglected by her previous owners and was so severe that her eyes could not be saved. The only way to relieve her from the pain was to remove her eyes altogether. Thanks to the Friends of the Fairfax County Animals Shelter, she was able to have this surgery. 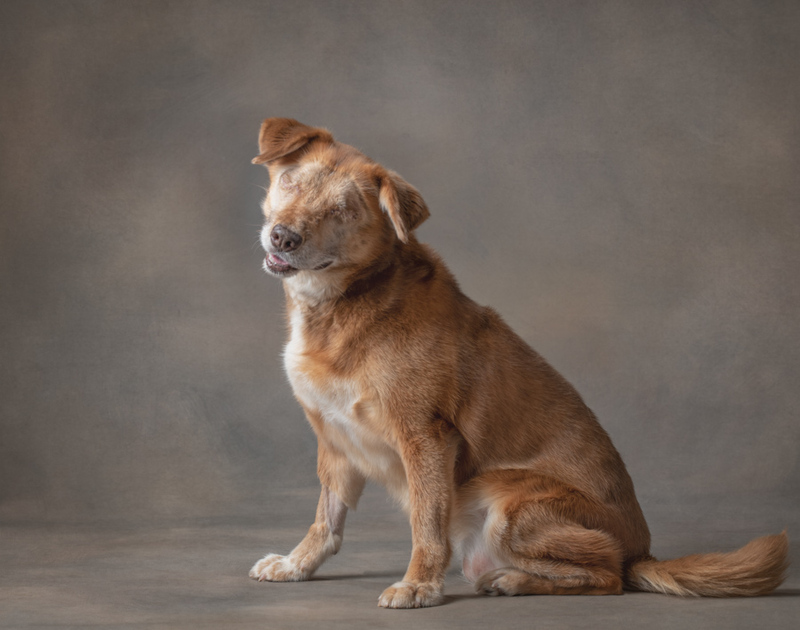 Maize is amazing because despite having no eyes, she has a such a bright outlook on life. This girl was one of the sweetest, most affectionate dogs I have ever had in the studio! She loved being pet and would raise her paw to tell you it was time to give her more attention. She never stopped smiling the whole time she was in the studio. I was amazed at how well she managed to get around, not only in the studio but outside as well. Her foster said she has been doing great! Now that she has gotten familiar with the house, she moves very well around her foster home. She is house broken, goes on walks and does very well on a leash. Photographing Maizy was such a joy because she reminded me of the incredible resilience that dogs have. She may have lost her eyes, but she never lost her happy, loving personality. I have no doubt that she will bring a lot of joy to the lucky person that adopts her. Maizy will be available for adoption soon. For more information on animals currently available for adoption from the Fairfax County Animal Shelter, visit the shelter’s page on Petango. Artful Paws Photography is proud to provide photography to the Fairfax County Animal Shelter and other rescue groups. For more information on photographing your family, please visit Artful Paws Photography’s website. 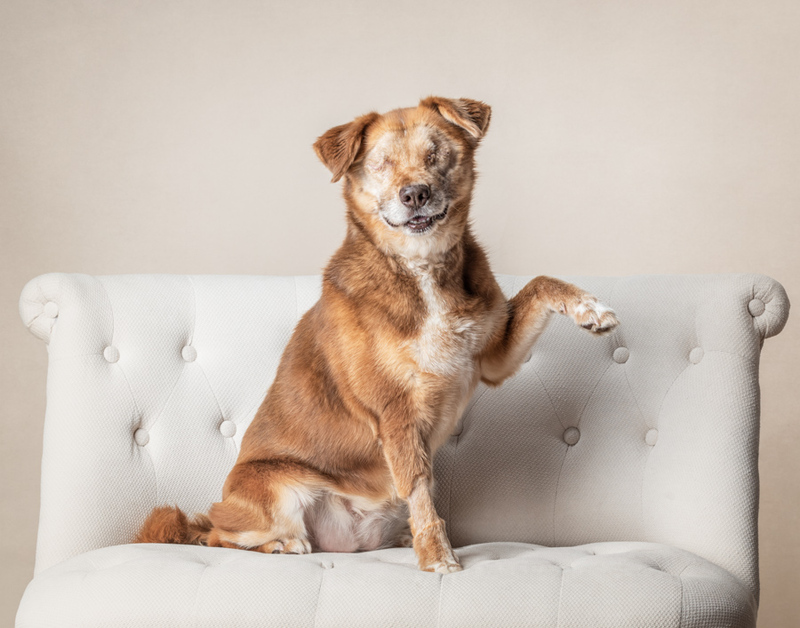 This entry was posted in Photo sessions, Rescues and tagged Artful Paws Photography, blind-dog, dc-dog-photography, dc-pet-photography, dog photography, dog picture, dog-with-no-eyes, dogs, Fairfax County Animal Shelter, FCAS, FFCAS, no-eyes, pet photographer, pet-photographer-va, pet-photography-va, rescue dog, studio-dog-photography, VA dog photographer, VA pet photographer.